7 series rims on a e60? To his own, I have the 95's on my car. Those look great on your car. My Ride: 2008 535xi Titanium Silver Metallic, H&R Lowering Springs, 740iL wheels staggered (19x9 wrapped in 245/35/, 19 and 19x10 wrapped in 275/30/19 Toyo Proxes, ECU Reflash, M-Tech Front bumper.... NO MORE! some member on here has a set and has posted pics. i cant remember who it was though. I'm sorry to hear you made the investment without realizing they won't fit. explain why they don’t fit? You don’t need to apologize as I love the rims and they will fit on one of my cars regardless. I suggest that you read up on wheel offsets. Here's a good place to start. https://www.tirerack.com/tires/tiret...sp?techid=101& In addition, it looks like the 10-inch rim width in the back will give you rubbing-on-the-wheelwell problems. Good luck! 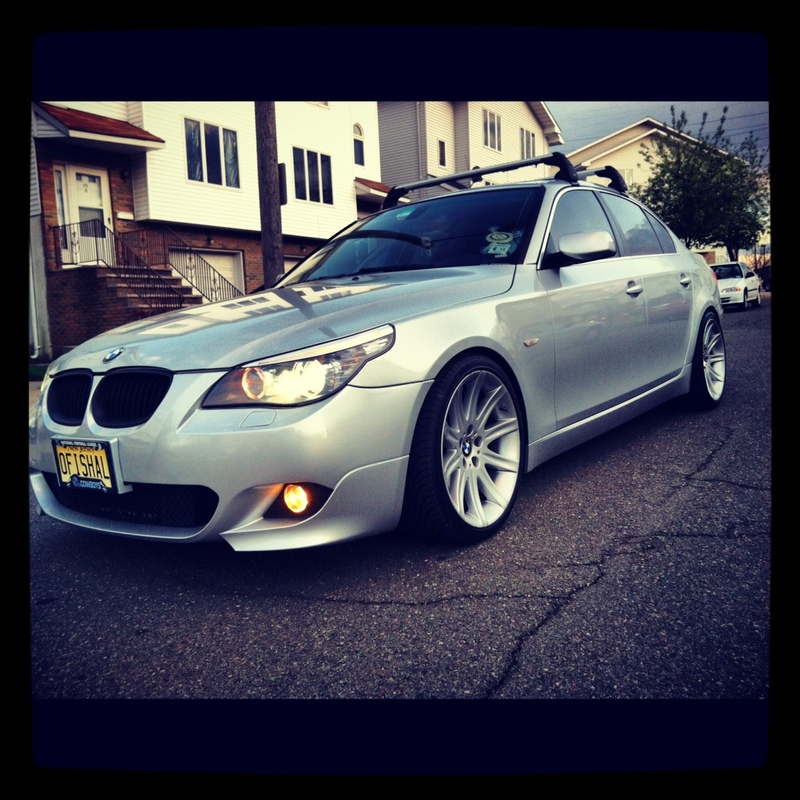 Quick Reply: 7 series rims on a e60?